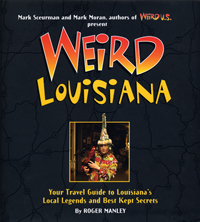 We've Just Released Weird Louisiana! Your travel guide to the land of voodoo, hoodoo, and backwater bayous! Just hearing the name “Louisiana” is enough to conjure up all sorts of strange visions in one’s imagination: haunted Old South plantations, French Quarter mansions, and white marble and limestone towers that house the dead. And, of course, there’s Mardi Gras, the most surreal and extravagant celebration in the country. 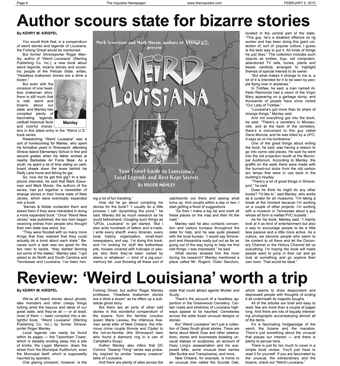 Author Roger Manley (who caught a “swamp monster” in the bayous behind his family’s home) knows and reveals everything about this state of the weird, wacky, and wonderful. Laissez les bons temps rouler!